Situated in the state of Andhra Pradesh is a small hill station of quaint beauty. Araku Valley is famous for its green landscapes with forests adjoining the small town. 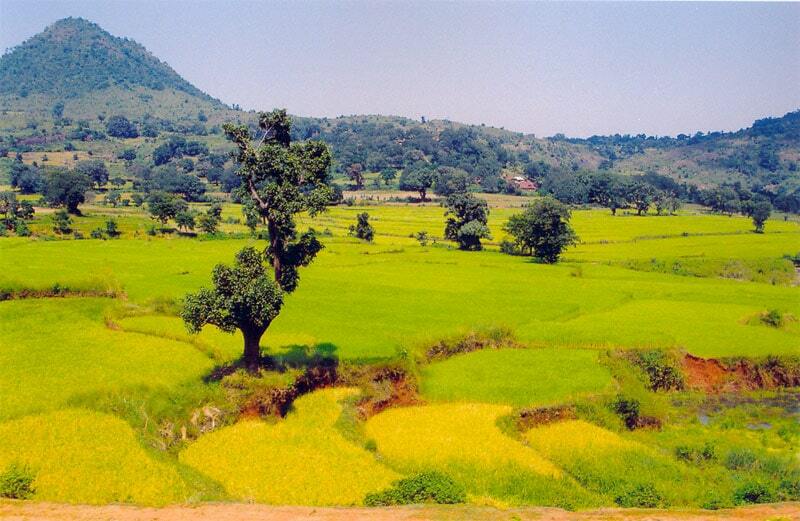 Araku Valley is at a two hour distance from Visakhapatnam and is situated at a close proximity to Orissa border. The coffee grown in Araku Valley is some of the finest in the country. Most of the produce is exported but can be abundantly found in the local markets. There are several magnificent mountains surrounding the valley, amongst which Galikonda hill has the highest elevation of 5000 feet above sea level. Other mountains that surround Araku Valley include Sunkarimetta, Raktakonda and Chitamogondi hills. There is a heavy quantity of bauxite ore within these mountains as has been observed through mining expeditions. Besides being rich in natural minerals, the valley is also a retreat for nature enthusiasts and adventure seekers. There are a multitude of outdoor activities once can indulge into including trekking and rock climbing. The roads surrounding Araku are filled with deep tunnels and dense foliage that add to the scenic experience of exploring the region. The climate in Araku Valley is generally pleasant with summers experiencing moderate temperatures ranging between 18 and 30 degree centigrade. The summer winds are cool and flow all season long, making the climate pleasant. Monsoons in Araku valley bring heavy precipitation with average rainfall of 1700 mm. Heavy monsoons last between the months of June and October. Winters are cold with average temperature dropping down as low as 5 degree centigrade. January is the coldest month of the year with the most amount of tourism experienced during this time. Araku Valley is best visited during the summer and winter months. Summers bring pleasant breezes and winters are great for a weekend retreat. It is advisable to carry heavy jackets and woolens for winters while summers can be accompanied by light sweaters. There are a multitude of coffee plantations in Araku Valley where some of the finest coffee in India is grown. A visit to one of these plantations is sure to rejuvenate and refresh. The several forest areas and grasslands in Araku valley are ideal for treks and camping excursions. There is also a widespread tribal culture prevalent in this region as can be widely explored. There is a Tribal Museum in Araku Valley that showcases the lives and history of the tribes inhabiting Eastern Ghats. The museum itself is constructed using clay and natural materials, giving a naturalistic feel to it. Besides the museum, Padmapura Botanical Garden is a place of serenity. The garden is laden with a multitude of flora. Several species of flowers are nurtured here and can be visited by tourists during the day. Araku Valley is located near Visakhapatnam, the port city of Andhra Pradesh which is a drivable distance away. To reach Araku Valley by air, one has to take a flight till Visakhapatnam. Regular flights from all over India go to and fro the Airport. Railway travel is also an option considering the direct train from Visakhapatnam that enters Araku every day. There are various Taxis and state road transport corporation buses that go to and fro Visakhapatnam and Hyderabad for reaching Araku Valley. Araku Valley is easily accessible by road and rail. With Nh 39 passing through the town, plenty of interstate buses can be availed at the go. Both private and state road transport corporation buses can be boarded from Visakhapatnam and Hyderabad towards Araku Valley. There are a few guest lodges in Araku but plenty of hotels can be found in Visakhapatnam within affordable ranges. The guest lodges are sanitary, secure and comfortable. Meals can be ordered at the hotels and taxi services can also be booked. Please tell me about tour from railway station vaizag by train to Arku and back by road.